$11 minimum wage not enough. Workers still earning below the poverty line! 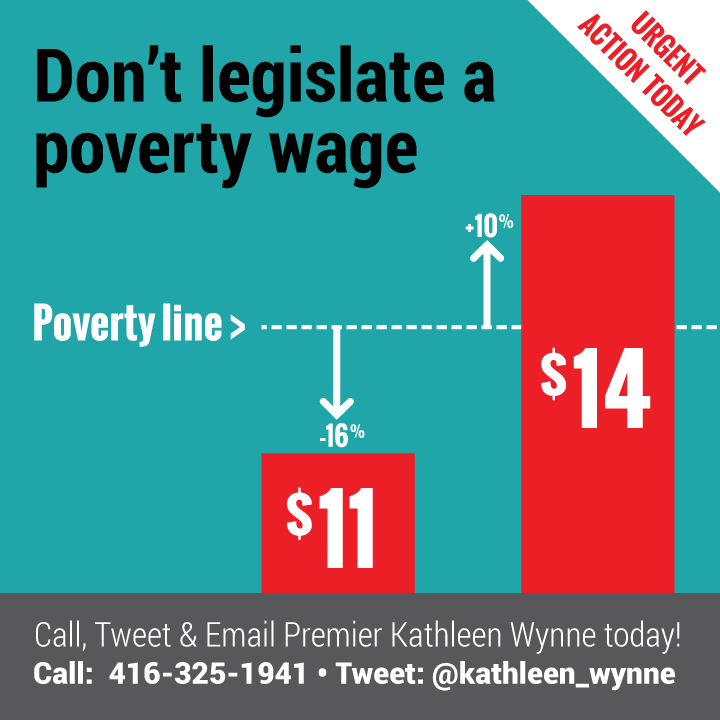 Premier Kathleen Wynne announced today that the minimum wage will increase to $11.00 on June 1st, and legislation will be introduced to increase the minimum wage with the cost of living each year. The minimum wage rate for students will rise to $10.30 and for servers to $9.55 on June 1. WAC will continue to fight for a fair wage for Ontario workers. Join the Raise the Minimum Wage Campaign and have your voice heard.